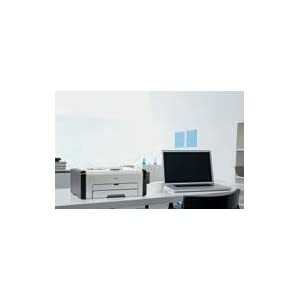 Buy Ricoh SP 210 Monochrome Laser Printer @ 60% Discount. Thanks to their compact size, these printers can squeeze in anywhere, so you can get the most out of your office space. With their stylish design, they’re the perfect fit for today’s office decor. Makes it easy to replenish paper and perform other everyday operations. Printing Speed (A4/LT) 22ppm/23ppm. Paper Sizes A4/Legal Warm up time Less than 25 secs. Resolution 1200 X 600 dpi. Duplex Print Manual Input Capacity. Standard Tray: 150 Sheets. Bypass Tray: 1 Sheet Rating Power 220 – 240VRAM 128MB. High Yield Toner 2,600 pages. Low Toner Yield Cartridge 1,500 pages. Maximum Print Volume (Duty) 20,000 pages/month. ADF Capacity N/APDL GDIFonts N/A. Connectivity Host Interface: High Speed USB 2.0. Dimensions (W x D x H) 402x360x165mm. Weight 7.2 Kg. 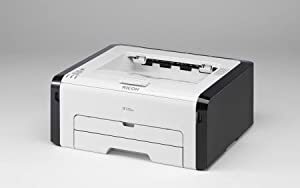 Best Cheap Deals For Ricoh Printer & Scanner, Grab Cheap Ricoh SP 210 Monochrome Laser Printer Online.